The Hiphop Archive and Research Institute (HARI) is a leader in fostering the recognition of Hiphop as a seminal American contribution to world culture. The mission of Classic Crates is to collect, preserve, and make accessible the rich heritage of Hiphop as an American art form. The Classic Crates collection is based on the assessment of some of Hiphop’s major producers and deejays (DJ). Classic Crates refers to the range of recordings and musical genres that can be called the Hiphop Standards Book in that they represent the definitive repertoires in the variations of Hiphop lyricism, music and production widely known and referenced by Hiphop musicians. In the history of Black America, the DJ has served as the drum and the message. The expression “the DJ made me do it” not only refers to movement on the dance floor, but also their role as providers of news and events that are important to the black community. The DJ never allowed us to stray far from everything the music has meant. The layering of sound, rhythm, memory, sacrifice, celebration and love required the digging for more layers, more beats, and more buried memories. They made us want and need it. It is the memory of watching ‘old folks’ listening intensely to the scratchy sounds of the 78 records and how the Motown and Chess eras of recordings created the urgency of both the a and b sides of 45s. It is remembering how the LP or 33 ⅓ was supposed to die when the 8 track, cassette, cd and digital forms came into being. But the DJ said no. They convinced us that the classic soundtrack of our lives included the movement of vinyl. The immediacy of the moment would not result in a sacrifice of the groove. So Digging means to be present, perhaps arbitrarily, …The common predicate, myself, the Digger. One who gets down, with the down, always looking above to see what is going out, and so check Digitaria, as the Dogon say, necessary if you are to dig to the farthest Star, Serious. The DJ works to make sure we are not forgotten, ensuring we are more than a footnote in the building of communities and nations. We will persist in the soundscape - to be dug in return. The Hiphop Archive and Research Institute (HARI) and Harvard University’s Eda Kuhn Loeb Music Library have partnered for the Classic Crates project that will archive 200 classic vinyl records selected under the leadership of Hiphop Archive Fellow (2013) and producer 9th Wonder. Peter Laurence of Loeb Music Library is the project liaison for this unique collaboration that will bring together a collection of hiphop “standards,” along with LP versions of earlier recordings containing the original music used for their samples. The recordings and other related content will be housed and made available for research at the Music Library. Both institutions are actively collecting Classic Crates material. 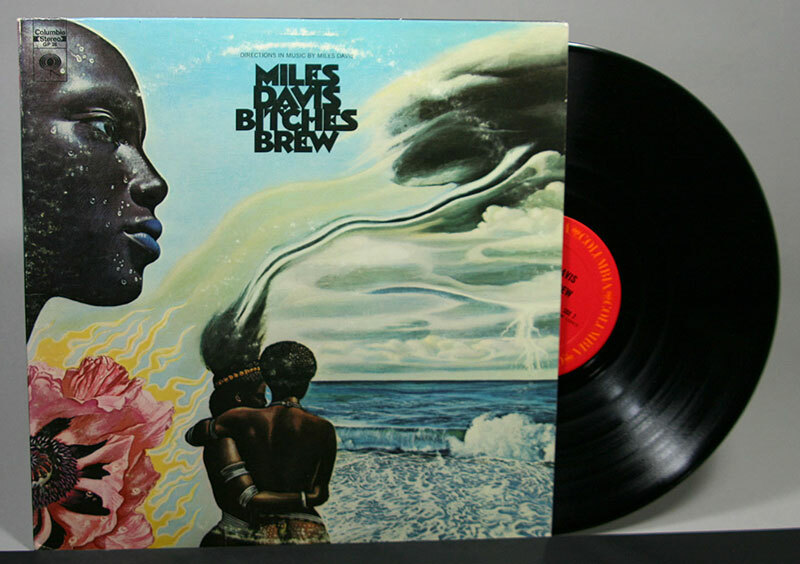 As primary sources for the study of hiphop, these LP vinyl recordings will be accessed at the Music Library and can be played at the library’s turntable listening stations. Research materials relating to each classic album will also be available for review at Loeb Music Library. Additional copies of titles in the collection will be available at HARI, and digital versions of some items will be accessible via the Classic Crates website. All recordings will be catalogued in the Harvard Library Hollis system and also listed in the HARI bibliography for citation purposes. The first Classic Crates titles will be available at the Loeb Music Library beginning in February 2016. Information about consulting the collection and access procedures will be announced nearer to the collection's launch. Vinyl recordings require protective packaging. This can include a cardboard sleeve that holds the record as well as an insert inside the album sleeve. The information on the packaging, called liner notes, often includes credits for everyone involved in the recording, copyright information, and song lyrics. On a cassette, this information was found on the paper insert while on the CD, they appeared on the booklet in the jewel box. When I was growing up, I would read the liner notes of my parents’ favorite albums and study the album covers, the lettering, and the album art. I craved a better understanding of my parents’ musical passions. I was enchanted as I listened to their music and watched them nod and sway and dance. I noticed how my mother and father high-fived when their song played, while playing other recordings might switch their smiles to frowns and even launch arguments. I’d hear them bicker, shifting between critiques of performances to concerns over the importance of albums and music and musicians, and on to debates about what it meant to be both black and cool. I was devoted to finding a way into their world. It’s hard to comprehend the significance of music to a community or imagine the magic created in the studio and recreated on stage without the storytellers, philosophers and narrators describing the process, reconstructing the moment, and preserving full range of memory. I didn’t realize until now what a beautiful word Alabama is. That is one function of art, to reveal beauty, common or uncommon, uncommonly. And that’s what Trane does. 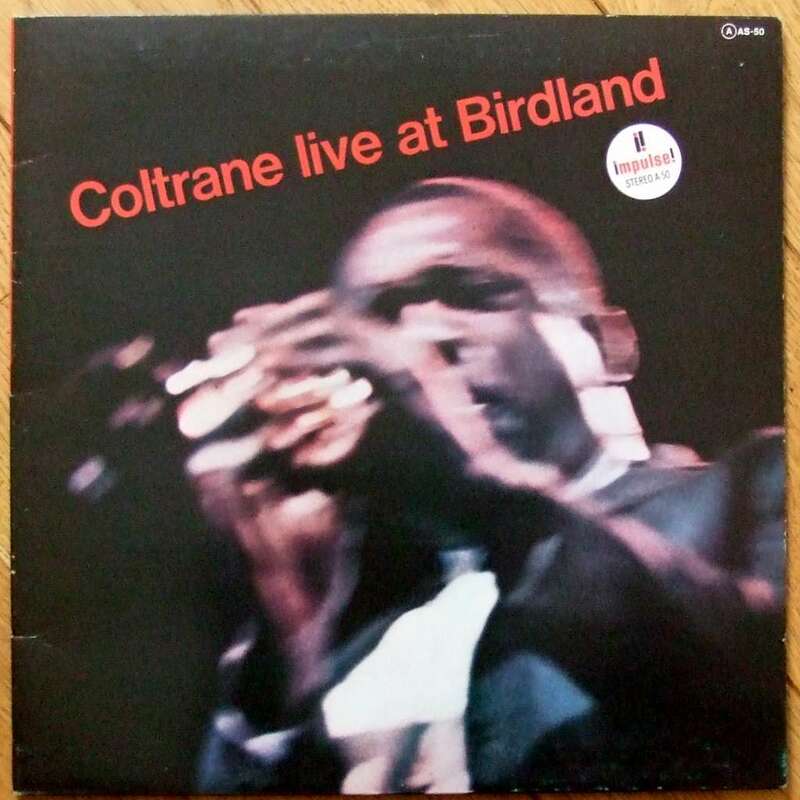 Bob Thiele asked Trane if the title “had any significance to today’s problems.” I suppose he meant literally. Coltrane answered, “It represents, musically, something that I saw down there translated into music from inside me.” Which is to say, Listen. And what we’re given is a slow delicate introspective sadness, almost hopelessness, except for Elvin, rising in the background like something out of nature … a fattening thunder, storm clouds or jungle war clouds. The whole is a frightening emotional portrait of some place, in these musicians’ feelings. If that “real” Alabama was the catalyst, more power to it, and may it be this beautiful, even in its destruction. Look. Miles changed the world. More than once. That's true you know. Out of the cool was first. Then when it all went wrong Miles called all the children home with “Walkin'”. He just got up there and blew it and put it on an LP and all over the world they stopped in their tracks when they heard it. They stopped what they were doing and they listened and it was never the same after that. Just never the same. Listen to this. This music will change the world like the cool and “Walkin'” did and now that communication is faster and more complete it may change it more deeply and more quickly. What is so incredible about what Miles does is whoever comes after him, whenever, wherever, they have to take him into consideration. They have to pass him to get in front. He laid it out there and you can't avoid it. It's not just the horn. It's a concept. It's a life support system for a whole world. And it's complete in itself like all the treasures have always been. Hiphop has had many great writers and music journalists who have described recordings and artists. Many are included here. Yet we have earned more than this. We also want our great writers to write more liner notes. Don’t just give me the text but the pretext and context too. We can go and find the official version of most lyrics and track down who was there. But that’s not the culture. We need more. We don’t want our writers to be wannabe MCs, or even the brilliant producer. We want them to channel the music and work and process and everything that has happened, should and will happen and is in our imagination of what could happen. We want to imagine the conversation with artists, philosophers, scientists, politicians and dreamers. We want you to get it or as Langston Hughes says - “to dig it”. We want to experience the linguistic pleasure when someone says “what had happened was’ and it is explained with the multiple possibilities when past references are signifying on other past references and suggests that we follow closely and pay our dues so that we can get the rewards of fully experiencing what the artist said and understood. When the creative artists and musicians deliver we look for the writers and cultural critics to let us in on what is deep - and needs to be dug. Classic Crates has an active acquisitions policy stressing awareness of materials related to the musical development of Hiphop and the social, political, educational and artistic movements that has resulted from the genre. Albums are chosen using multiple criteria including artistic, social and historical significance. The collection considers Hiphop to be an American art form that has been embraced by the world. We make accessible the materials in the HARI archives through online activities and research and improved bibliographical and organizational control, including a comprehensive program of cataloging and database entry, and other processing activities. HARI shares its unique holdings and expertise through emergent technologies and innovative programming. We link the references, times and periods of albums and sampled music and lyrical references to historical, political, social, artistic, scientific and educational programs and technologies.